The below game article is based on user submitted content. Game functions with major graphical or audio glitches, but game is playable from start to finish with workarounds. 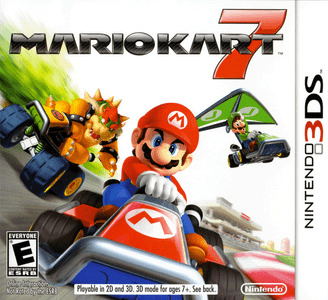 Mario Kart 7 is a racing video game developed and published by Nintendo. It is the seventh major installment in the Mario Kart series and the third to be released for handheld consoles. Mario Kart 7 works great in Citra. You may need to transfer save files from Citra to your 3DS to complete certain tracks. No savefiles have been uploaded for this game. Citra nightlies are back up and better than ever! Sorry for the delay and Happy New Year! After much anticipation, Citra now has a JIT! Props again to @MerryMage for another massive contribution to the project! !